At over 5038 sq. ft., with seating up to 300 and the option to break into two rooms, the Grand Ballroom at Holiday Inn Midland is the premier local venue for conferences, presentations, catered banquets and events, featuring a sophisticated backdrop for any unforgettable moment. 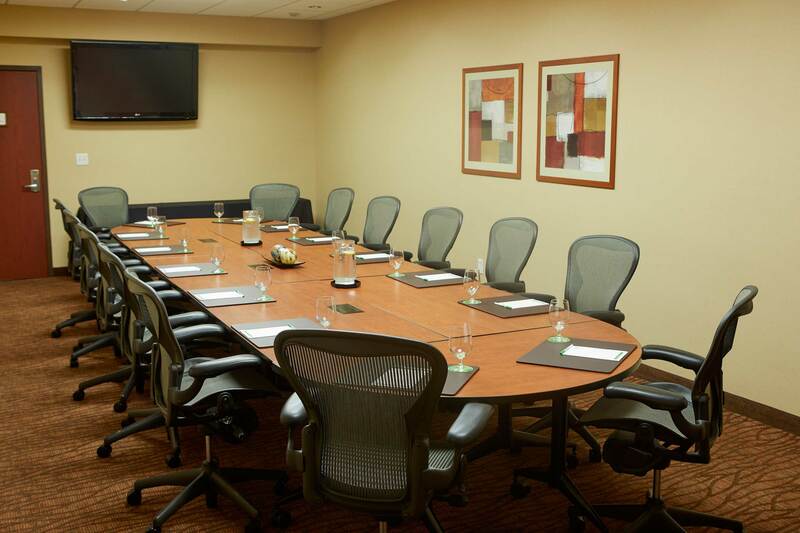 For more intimate meetings, the executive boardroom provides 406 sq. ft. of well-equipped space for both analogue and digital brainstorming, while our 24-hour Business Center boasts a fax machine, printers, free high-speed, and wireless Internet access. Conveniently located off Highway 10 and Eastman Road, our northern Midland, Michigan hotel in the Tri-Cities offers business and leisure guests an unforgettable experience. In close proximity to IBM, Consumers Energy, Pilgrim Technology and Dow Chemical. Suburban Inns and all its locations are happy to comply with the Americans with Disabilities Act of 1990 and all ADA guidelines. We are committed to assuring equal access of all our services. To do this, we make sure rooms, meeting spaces, and parking areas are accessible by elevator, level or ramp entrance. Emergency evaluation instructions are lowered, public areas and facilities are available for the physically challenged, and service support animals are always welcome. 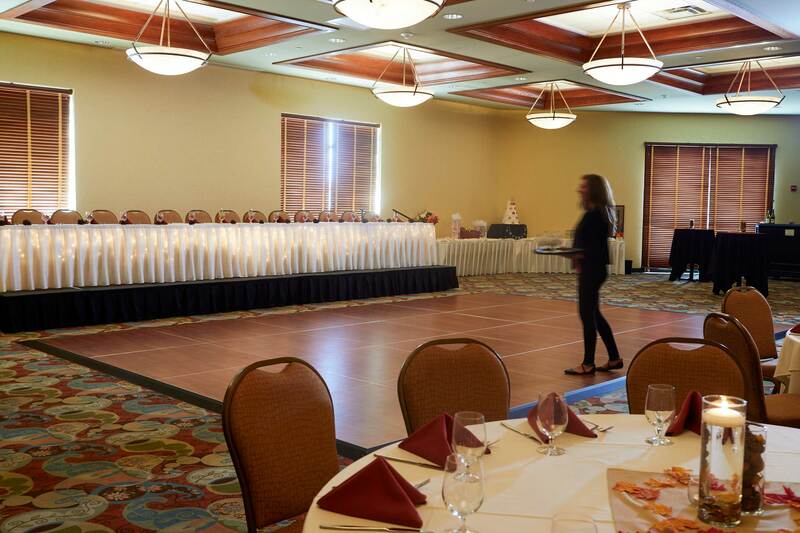 Our qualified staff is prepared to work with you to ensure that every aspect of your meeting, wedding, banquet or event goes off without a flaw. Because at Suburban Inns, the delight is in the details, and we always consider them one of our highest priorities. With Lynnette’s vast experience in hospitality and sales, she has a strong focus on corporate accounts and networking within our local community. Lynnette joined our team in 2010, and in her current role assists our guests with group and corporate lodging needs. Contact Lynnette to set up a tour of our property, and discuss the details of your specific accommodation needs. Justine has been with Suburban Inns since May of 2013. For the past 2+ years she has held her current role as our Sales Manager, assisting our guests with the planning of their events. Justine has planned events ranging from 10-300+ guests, in all different markets; including corporate meetings, team building events, conferences, showers, weddings and open houses. Rest assured when booking an event at our facility, Justine will go the extra mile to be sure your event is executed just as planned. Erikah enjoys working closely with our guests during each event and is skilled in coordinating event operations in multiple different settings. She received her degree in Event and Recreation Management, and has been a strong service leader with a focus on creativity and attention to detail. Erikah supervises and leads our trained banquet team, to ensure high quality food and service standards. You can find comfort knowing that Erikah is here to assist you with any of your onsite event needs, to be sure that your event is executed and exceeds your expectations, beginning to end. 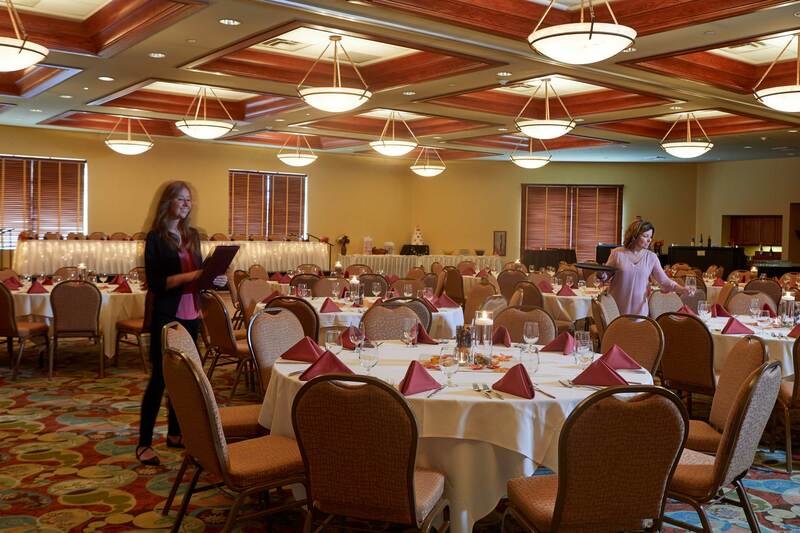 Let us help you create the banquet and event of your dreams at the premier reception venue in Michigan! 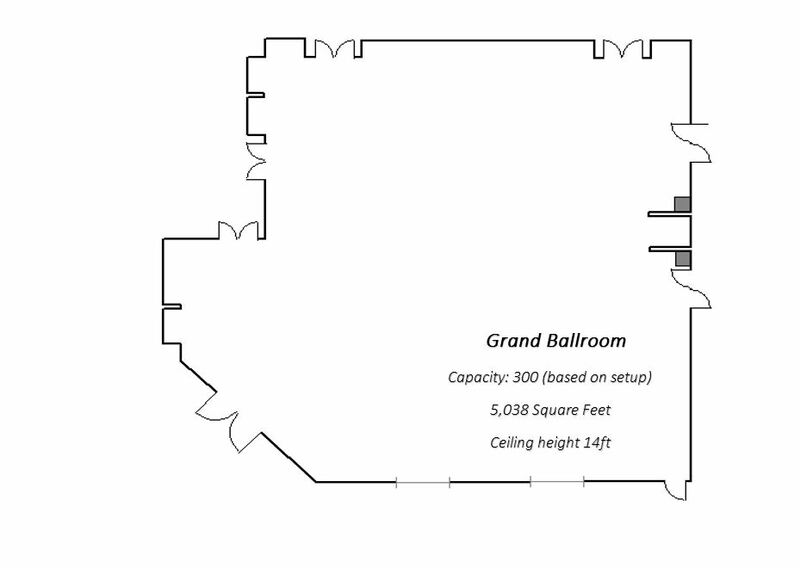 The Grand Ballroom offers an extraordinary 5,040 sq ft of space with a 14ft ceiling and seating up to 300 guests. 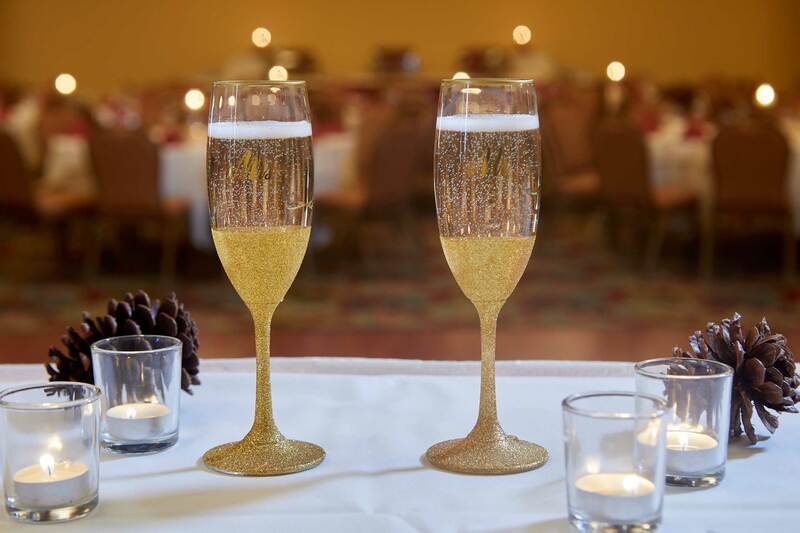 From classic to unexpected, the Grand Ballroom provides the ideal backdrop for your perfect venue in Midland, Michigan. 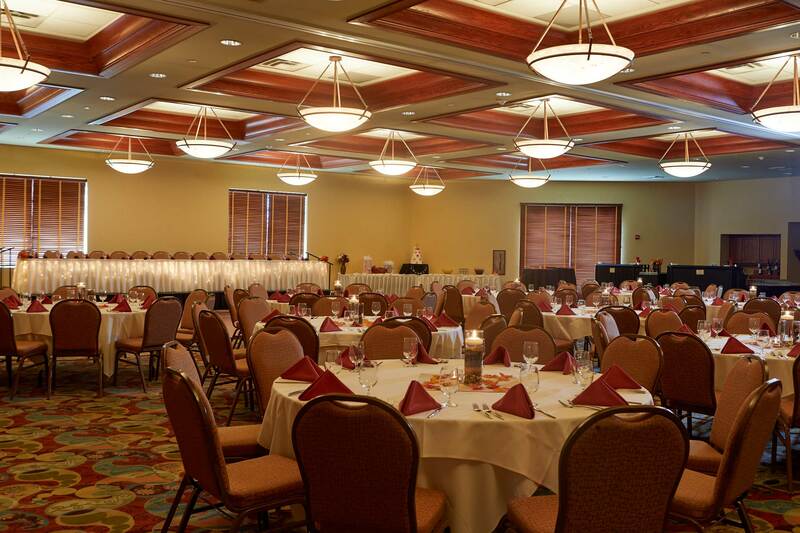 For medium-to-large sized events, the Ballroom can be divided into two separate spaces known as the Tittabawassee and Chippewa rooms. 70' x 72' 5,040 Sq. 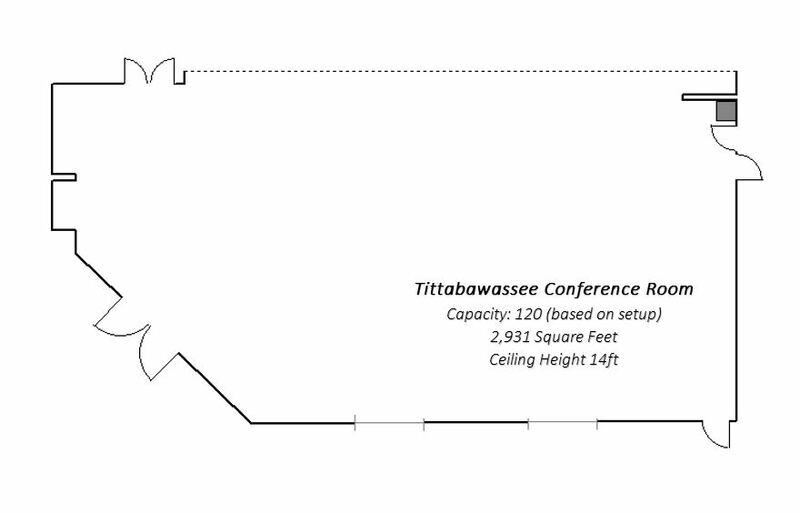 Ft. 14' 84" x 144"
Ideal for medium-to-large sized events or meetings, the Tittabawassee room offers an extraordinary 2,952 sq ft of space with seating up to 200 guests. 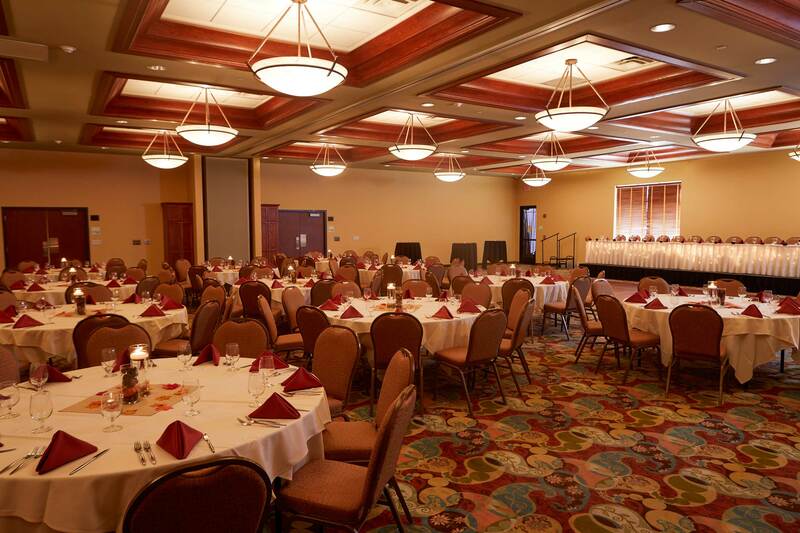 From classic to unexpected, the Tittabawassee room provides the ideal backdrop for your event. For larger events, the dividerwall between this room and the Chippewa room can be removed to create the Grand Ballroom. 41' x 72' 2,952 Sq. 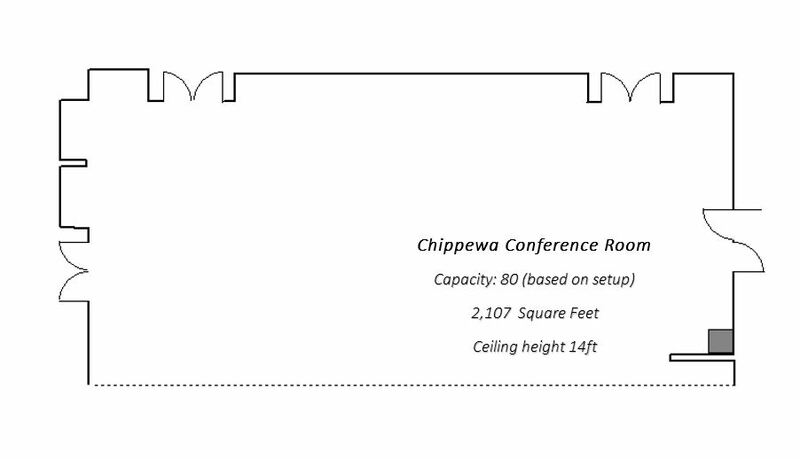 Ft. 14' 84" x 144"
Ideal for small-to-medium sized events or meetings, the Chippewa room offers an extraordinary 2,088 sq ft of space with seating up to 100 guests. 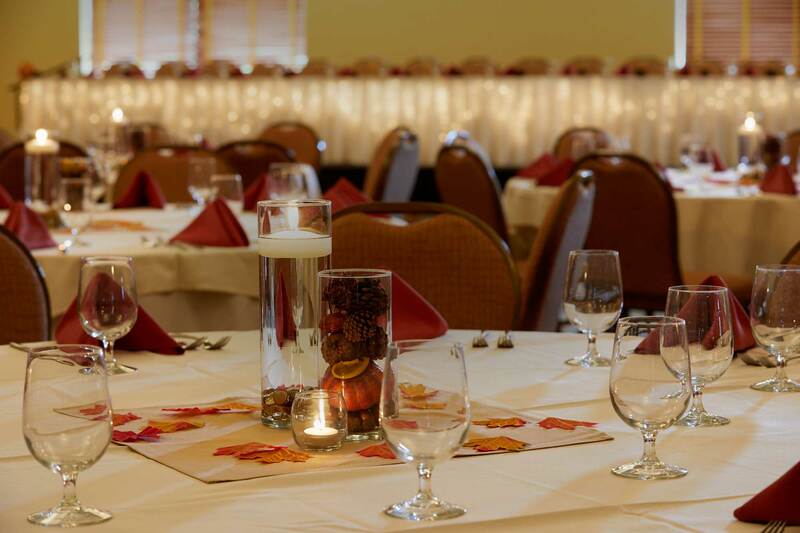 From classic to unexpected, the Chippewa room provides the ideal backdrop for your event. For larger events, the dividerwall between this room and the Tittabawassee room can be removed to create the Grand Ballroom. 29' x 72' 2,088 Sq. 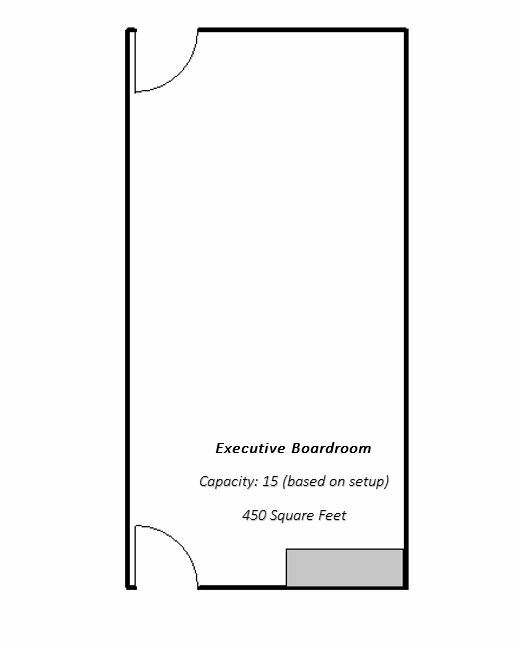 Ft. 14' 84" x 144"
A strong executive decision for focused business or other engagements, the Boardroom seats up to 14 people. Complimentary A/V and presentation equipment id available on site. 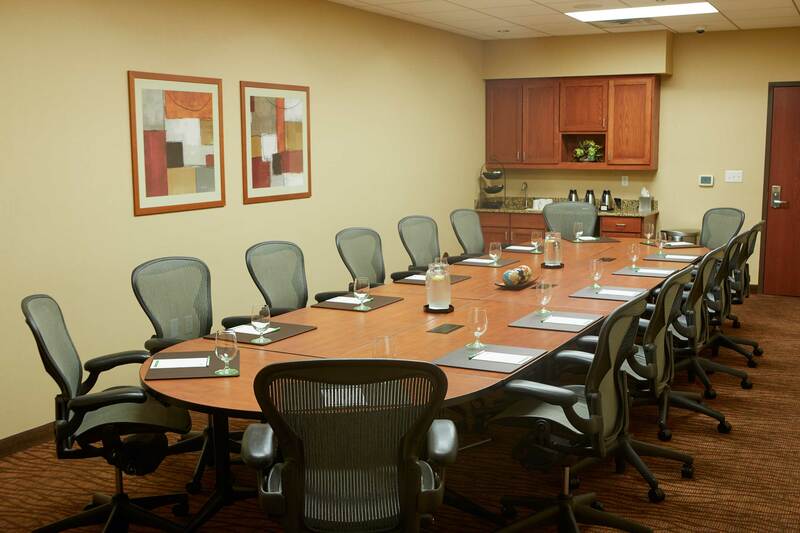 The Boardroom is sure to more than meet your meeting expectations. 29' x 14' 406 Sq. Ft. 8' 42" x 84"
Menus at our banquet spaces are prepared by our award winning Corporate Executive Chef, Bill Lafrance. If you have any questions please contact us and we would be happy to help customize a menu for your upcoming event. We always strive to make your event not only the best it can be but also legal and safe for all of your guests. Click the button below for a list of our policies and procedures, as well as everything from food services and decorating to taxes, deposits and more. Download as a PDF Food and Beverage: All food, with the exception of wedding or specialty cakes, must be purchased through the Holiday Inn of Midland. In compliance with Michigan Liquor Regulations, no alcoholic beverages may be brought on site and all alcoholic beverages must be purchased and dispensed through the Holiday Inn. Drink shots, double pours and multiple liquor drinks are not available on any banquet bar. Food and beverages cannot be taken off premise. 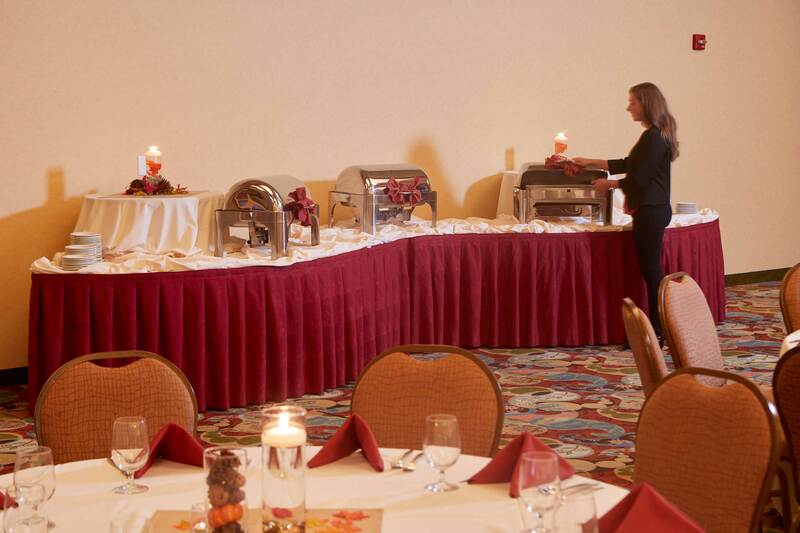 Buffet offerings are based on a 1 ½ hour maximum time limit due to health code regulations and food quality standards. 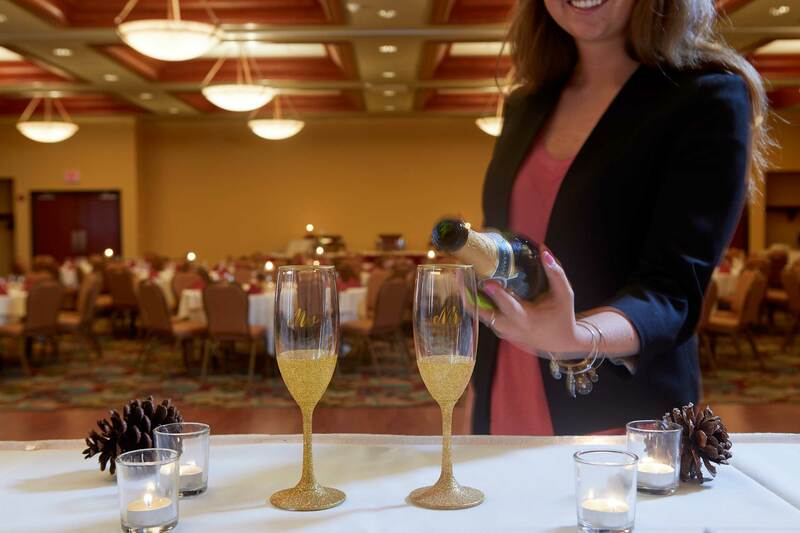 Event Supervision: On the day of your event, a banquet supervisor will be present. They will be there to oversee the staff and the event. All function space is closed at 12:00 midnight. Personal belongings and/or any outside vendor items are required to be removed by 1:00 a.m. unless otherwise approved by the sales manager. In compliance with state and local laws, we reserve the right to request identification and to refuse the service of alcoholic beverages at any time. We also, in consideration for the safety of your guests, reserve the right to end bar service at any time. Liability: Client agrees to be responsible for any damage done to the event rooms or any other part of the Hotel, or any other off-site premises at which the function may be held, by Client control. Holiday Inn of Midland will not assume or accept any responsibility for damage to or loss of any merchandise or articles left in the venue prior to, during, or following Client’s function. In compliance with state and local laws, we reserve the right to request identification and to refuse the service of alcoholic beverages at any time. We also, in consideration for the safety of your guests, reserve the right to end bar service at any time. Decorating: Affixing anything to the walls, floors or ceilings by any method (i.e. pins, nails, staples, tape, glue) in any function room is prohibited. Confetti, glitter and similar items are also prohibited. Due to fire code regulations, no open flame candles are permitted. Candles may be used if they are in an enclosed container. Delivery of Materials: Meeting materials can be shipped no more than three (3) days prior to the event. If materials need to be shipped back, this can be arranged through the catering coordinator. Additional fees may apply. Guarantee: A final guaranteed guest count and payment for all meal and beverage packages must be received by the catering coordinator five (5) calendar days prior to the event (exception is personal checks, please see below). The hotel will prepare to serve five percent (5%) over your guarantee. If a guarantee is not submitted, the hotel will use the last known expected attendance count as your guarantee. The guaranteed guest count is not subject to reduction 5 days prior to an event. If guest counts rise from that point to the day of the event, extra payment will be taken. All menu selections, room layout, audio/visual needs are required at least 3 weeks in advance of an event. 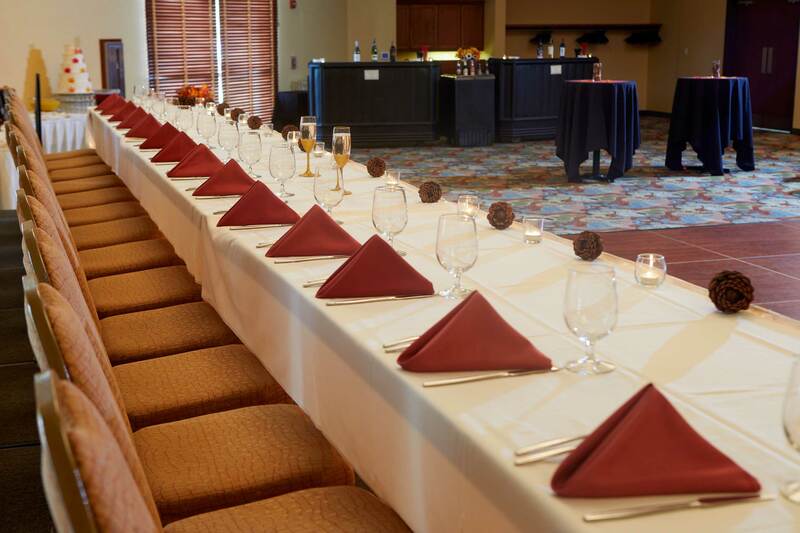 Our meeting and function space will be assigned based upon anticipated attendance and a group’s specific needs for an event. Should there be a significant change in the size of your function; the hotel reserves the right to move the space to a room better suited for the size of your event. Additional fees may apply. Deposit and Payment: The amount of the deposit varies based upon contracted space and services and will be determined at the time of your booking. Deposits are due with the signing of the contract. For wedding receptions, an additional $1000 deposit is required no less than 6 months prior to the event. Payments may be made by certified check, cash, or major credit card. Payment by personal check is due ten (10) calendar days prior to the scheduled event. Tax and Service Charge: 20% service charge will be added to all food and beverage costs. 6% sales tax will also apply. Cancellation: All deposits made to secure a contracted event date are forfeited should a cancellation be necessary. Any function that is canceled will be subject to a cancellation fee based on a percentage of the total estimated revenue of the event. Contingency: Performance of the agreement is contingent upon the ability of Holiday Inn of Midland to complete same and is subject to labor, disputes, strikes, or picketing, accidents, government (federal, state, local) requisitions, restrictions upon travel, transportation, food, beverage or supplies and other causes, whether enumerated herein or not, which are beyond the control of Holiday Inn of Midland. Additional: Missing meeting items or supplies are subject to an additional charge upon the conclusion of the event. Integration Clause: The parties agree that this Catering Contract contains the entire agreement between Holiday Inn of Midland and Client and that there are no agreements, representations, statements, or understandings that the parties have relied on that are not stated in this Catering Contract. The parties agree that this Catering Contract may not be modified without a writing that is signed or initialed by both parties.